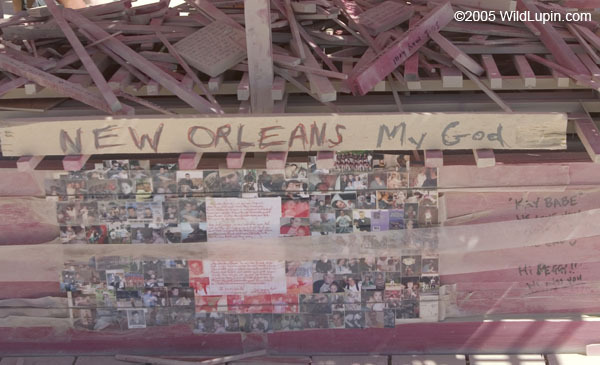 You can't read it but below New Orleans, there is a suicide note, along with a gallery of photos of this man with his family, friends, and baby daughter. All photos ©2005 Carla Freestep. Please email WildLupin@aol.com before using these images.